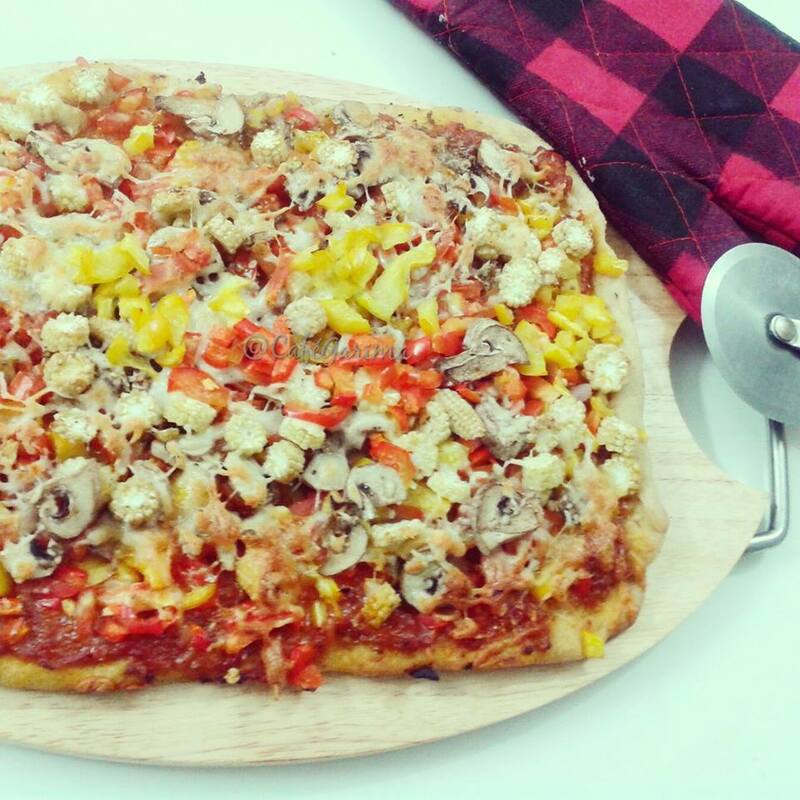 When your kids can have pizza for all meals (yeah, I mean it!) and you don’t want them eating store bought Maida/all purpose flour all the time, what do you do? 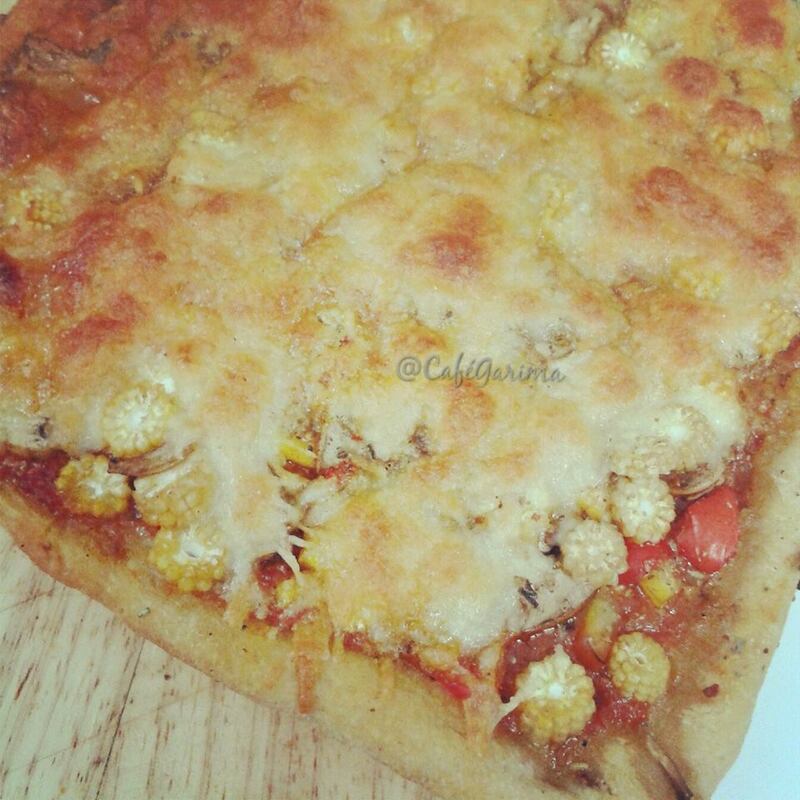 You make this whole wheat Aata pizza at home, from scratch! 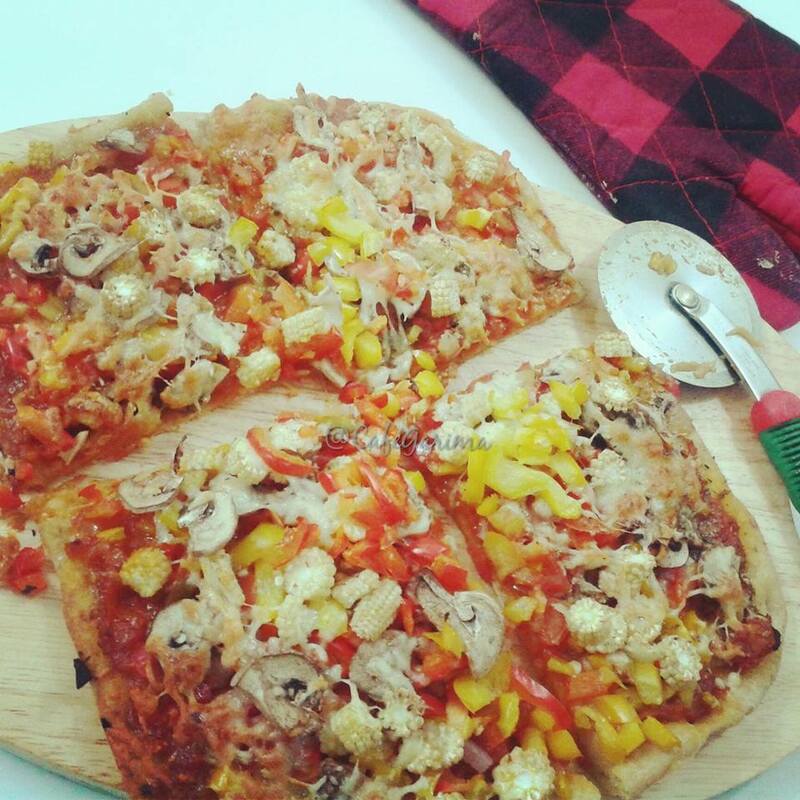 Loaded with vegetables of different colours (read more nutrition) and a bare smattering of cheese, these home-made pizzas are healthy and delicious. My children no longer order from Domino’s and Pizza Hut now. And I feel no guilt whatsoever as I know all they are eating is a good, healthy and hearty meal. I have adapted Peter Reinhart’s Country Pizza recipe to make it wholegrain and follow his method of baking to the T. I do not own a Pizza stone, so I bake on my cast iron skillet and it works beautifully. 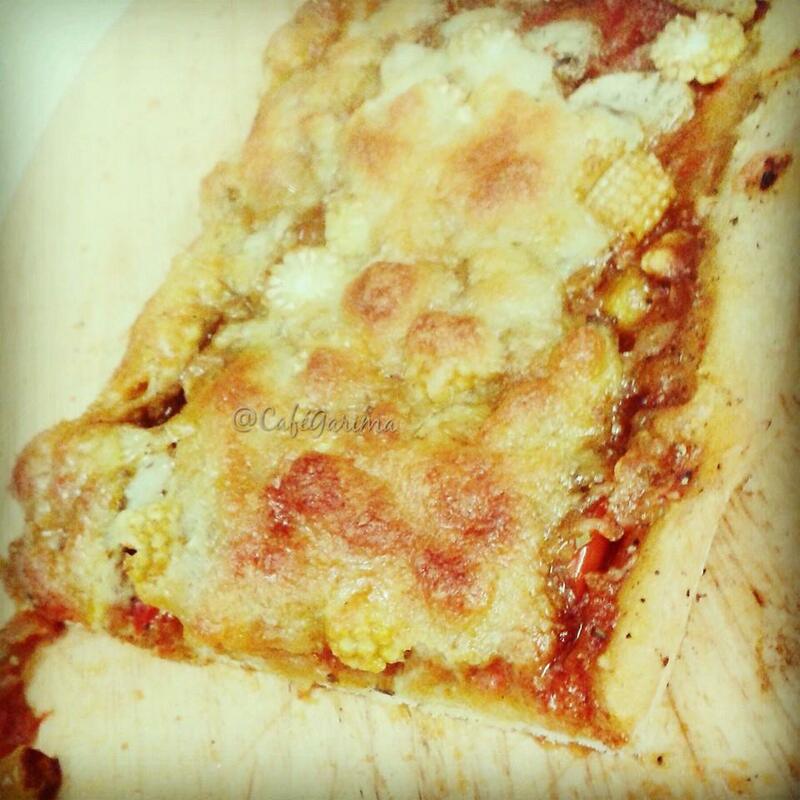 The pizza puffs up nicely making the base light and fluffy. You can use any heavy cast iron dish or even the dosa tawa! I keep it simple with 1 kilo of blanched tomatoes chopped fine and cooked in a tbsp of oil. I season it with salt, pepper,sugar and dry pizza spice mix and throw in some fresh basil leaves towards the end. Add all the dry ingredients to a large bowl and stir well to mix. Now add all the wet ingredients and mix well with a wooden spoon till the mixture is well hydrated. You may need more water depending on the type of flour you are using, but add very slowly- spoon by spoon. Knead for just a couple of minutes till the dough comes together. Cover and let rest for ten minutes. Spread out a silicon mat or oil the surface. 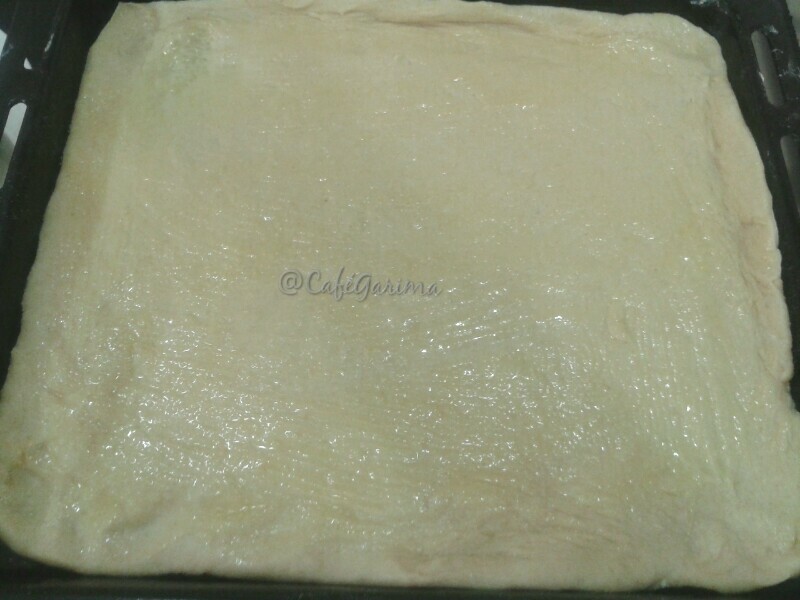 Move the dough to the mat and flatten out. Fold the dough on to itself three times. Then shape into a ball and let rest for five minutes. This is called the ‘Stretch and Fold’ method. Perform 3 more Stretches and Folds after every five minutes and move the dough to a large, slightly oiled bowl, cover it and put it in the refrigerator. Let rest overnight and your pizza dough is ready to bake with anytime! The dough keeps well for up to five days in the fridge. I don’t have a pizza peel so I use my wooden chopping board to slide the pizza in. 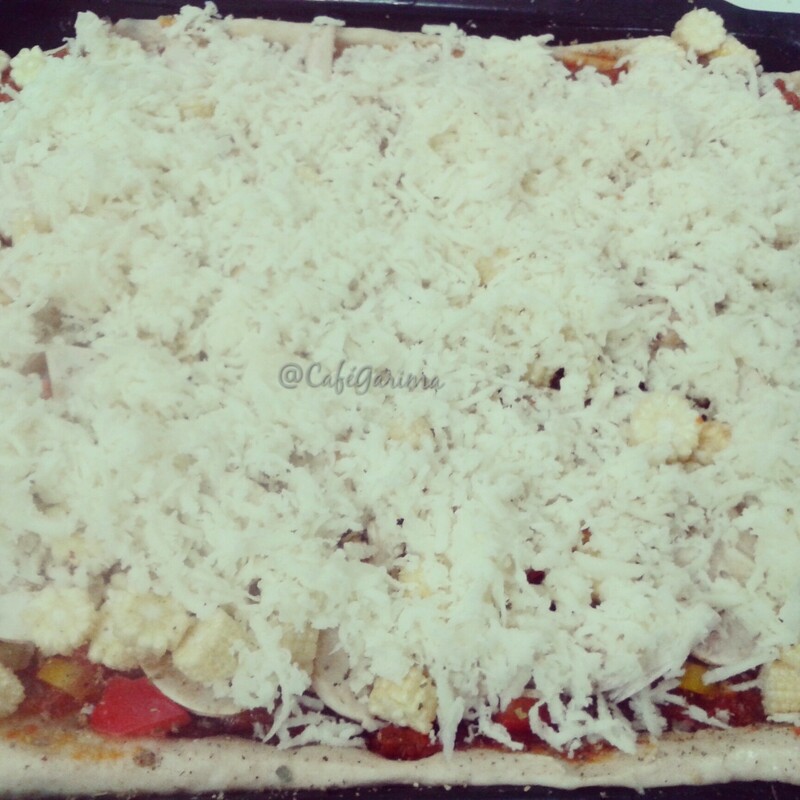 Flour it well so that the pizza does not stick to the chopping board. Take a handful of dough and flatten it out with your hands or the rolling pin. Move it to the floured chopping board. Spread the sauce. Top with some fresh basil leaves or dry pizza spice mix. Layer the vegetables of choice. 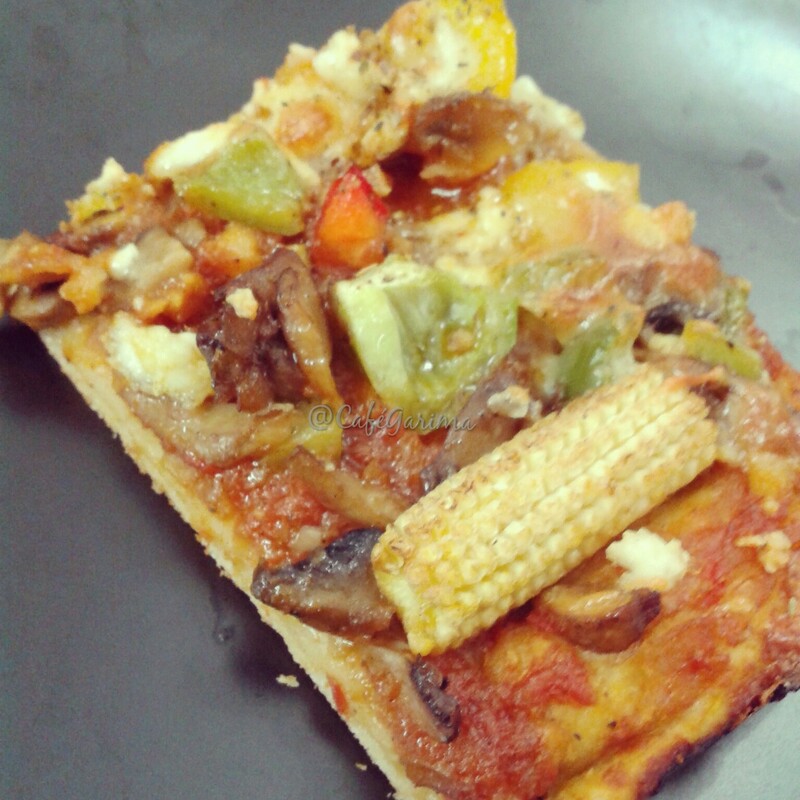 I used mushrooms, broccoli, baby corn and yellow peppers. Season with salt, pepper and some pizza spice mix. 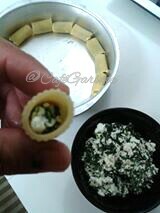 Top lightly with little grated mozzarella cheese. I like to break chunks of the cheese and drop them randomly over the pizza. Bake for 15-20 minutes till the base is done and cheese has melted. 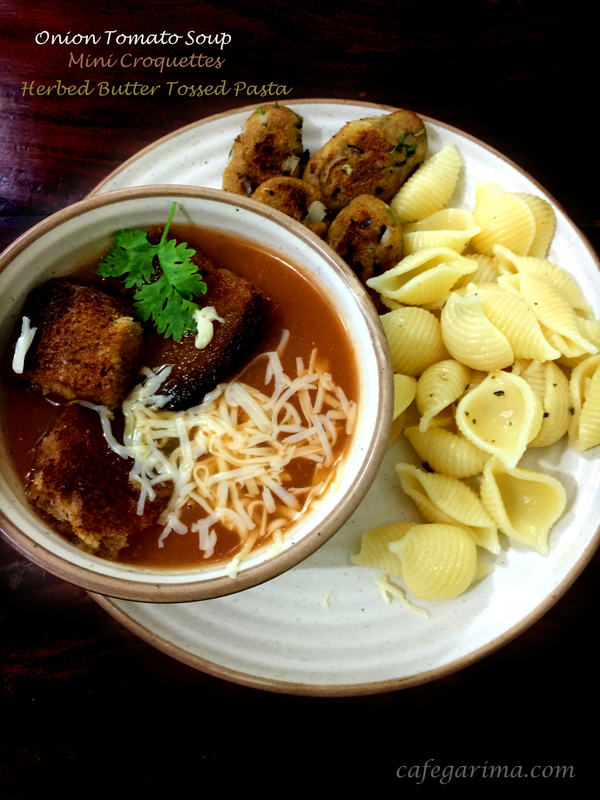 A hot bowl of soup,some pan fried croquettes and herbed butter tossed pasta- A perfect little dinner! Last dinner for dinner my younger teen asked for a ‘soupy kinda meal’. It resonated with what I was feeling ,battling a sore throat as I was. 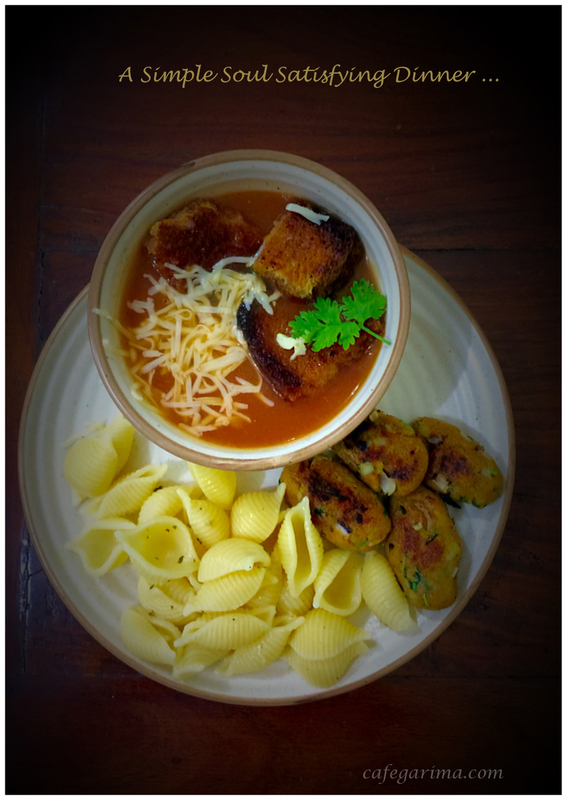 So I rustled up a tomato-onion soup with brown bread baked croutons, some pan-fried potato croquettes and a herbed butter shell pasta. It made for a simple, homey and satisfying meal. Pressure cook all of the above ingredients with a glass of water. Cool, blitz in the mixer-grinder and strain. Put the pot on the stove again and adjust seasoning if needed. Add some herbs, fresh or dry. I added some oregano and fresh parsley. Serve steaming hot topped with some grated cheddar cheese or cream and some baked croutons. For the croutons, toast 4 slices of brown bread in the oven till they were crisp and brown. Lightly butter them and cut into squares. Done! Shape as you like and pan-fry on a non stick pan till well browned from both the sides. Heat a tsp of butter and let it brown slightly. Add salt, pepper and any herb of your choice. 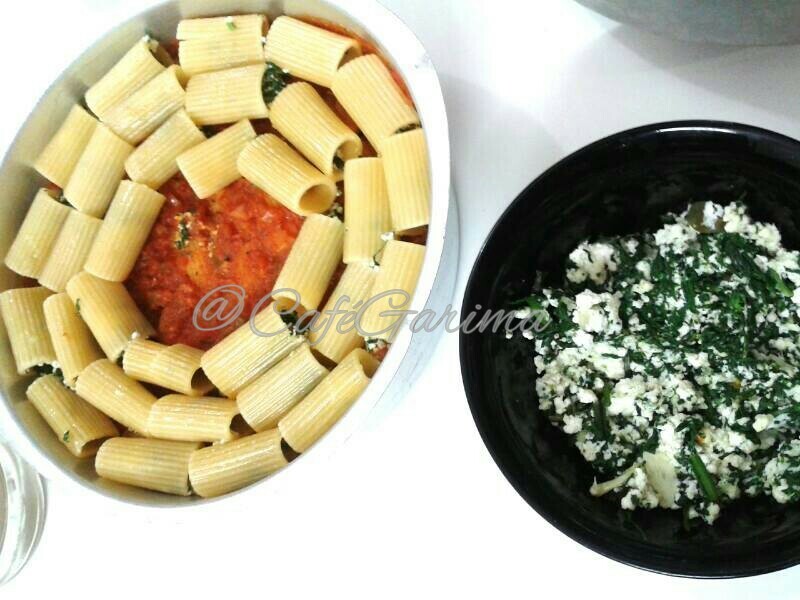 Stuff the pasta is stuffed with a mixture of ricotta/paneer,crushed garlic and finely chopped and blanched spinach. 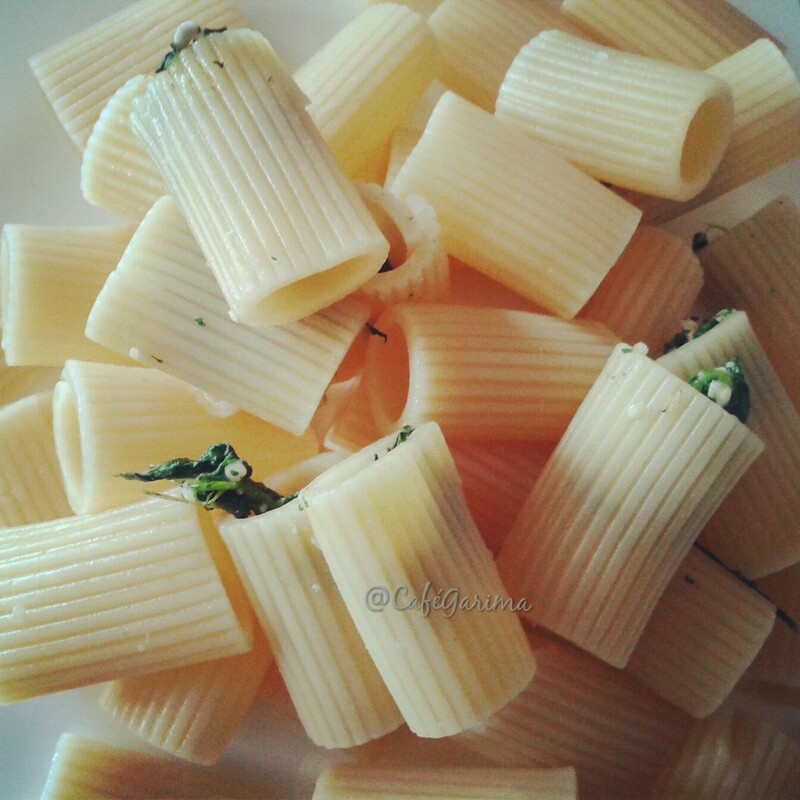 Remember to boil to rigatoni just halfway through for ease of filling. 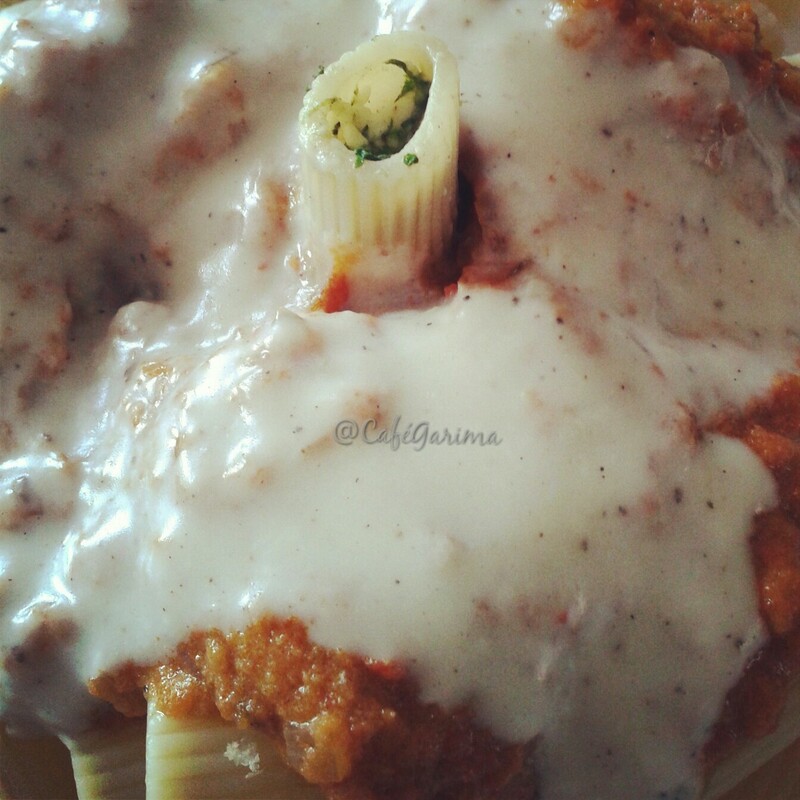 Sauces have to be used generously for the pasta to get cooked thoroughly while baking and yet remain most. The FIFA Finals night converted my kitchen into a Pizzeria! Kids and friends gang, excitement and huge appetites! 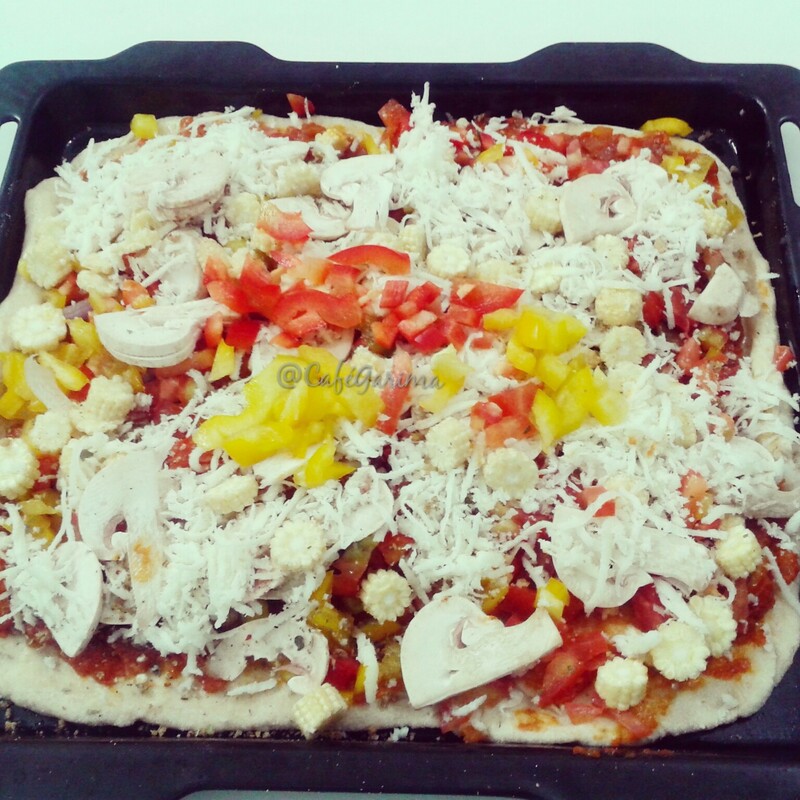 To meet the appetites and keep the fun quotient bubbling, we made king-sized pizzas, two ways! Both with the goodness of whole wheat and fresh veggies! The first kind was Thin Crust and veggie loaded with very little cheese (my favourite kind of pizzas) for the grown-ups. The second, was the boys’ delight- Three Cheese Pan pizza! Both with the same dough! I have been experimenting with flour and yeast proportions off late and this is a nice simple one. 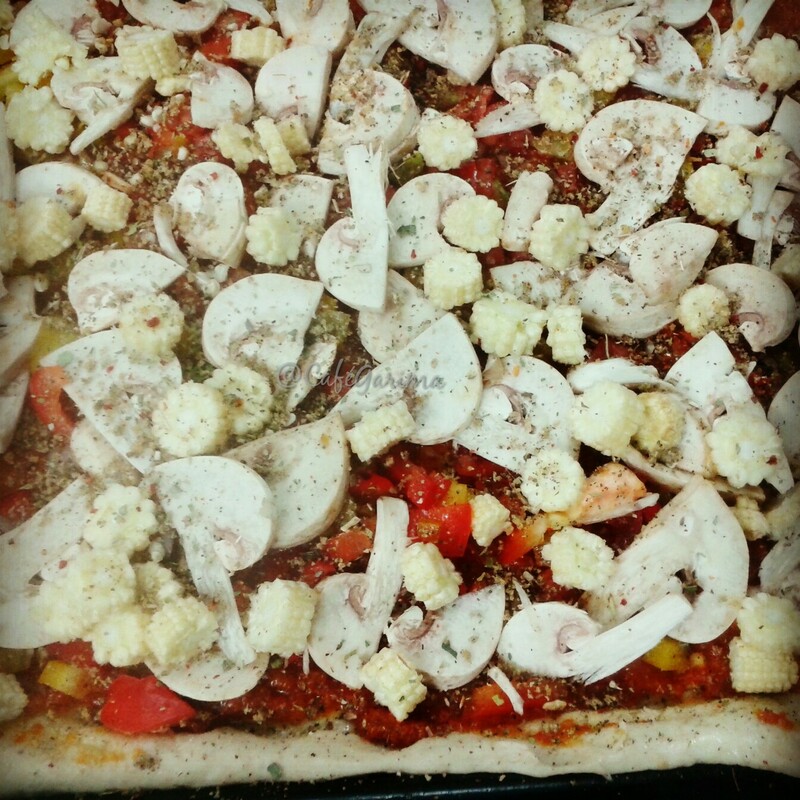 I call it my one and a half dough as most of the ingredients for the pizza base are in one and a half measure. Warm up half a cup of water, add sugar and mix. Add the yeast , mix and leave to bloom for 10-15 minutes. The mixture should be frothy and almost bubbling over. Proceed only then. Else start again. Here is a detailed pictorial on blooming the yeast and proving the dough. Mix both the flours and salt well and add the yeast mixture to the flour mix stirring it with a wooden ladle. Mix well for about five minutes. Add the oil and knead adding warm water gradually, for 10-15 minutes till the dough is soft, springy and non sticky. I used up about a cup of warm water to knead the dough. Cover and keep in a warm place for it to rise till it doubles up. Meanwhile, get your pizza sauce ready. I used my three pepper marinara to top the pizza bases. Gently knock the dough back and get it together. Divide into two. With on half I made two thin-crusts and with the other half a large sized pan pizza. Grease a baking tray and pre-heat the oven at 200C for 15 minutes. Roll out half of the dough very thin, say about 4 mm. Brush the top with butter. Lay the sauce in a generous layer. Layer the vegetables. Sprinkle the oregano/herb mix. Sprinkle some mozzarella. Bake at 200C for 20 minutes. Keep checking after the first 15 minutes because ovens behave differently.Repeat with the other half of the dough. This gives two large thin crust pizzas. Roll out the dough to about 6 mm thickness. Life the edges of the pizza base a little to form a pan shape. Lay the sauce in a generous layer. Layer the vegetables. Sprinkle the oregano/herb mix. Top with the three cheeses, starting with ricotta, then cheddar and the top layer mozzarella. 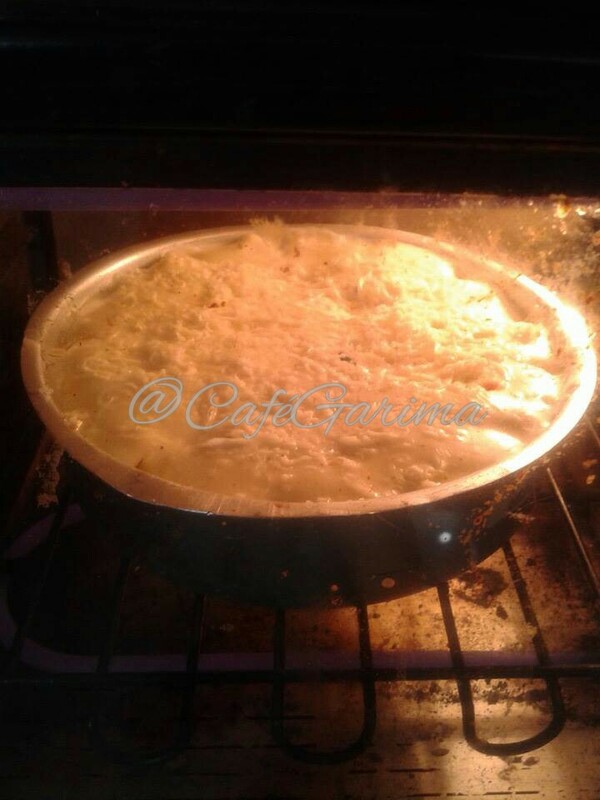 Bake at 180C for 25-30 minutes. Keep checking after the first 15 minutes because ovens behave differently. This one’s my favourite piece, which I had in peace while the Argentinians and the Germans dallied! Friday is here and it is time for Fiesta Friday at Angie’s. 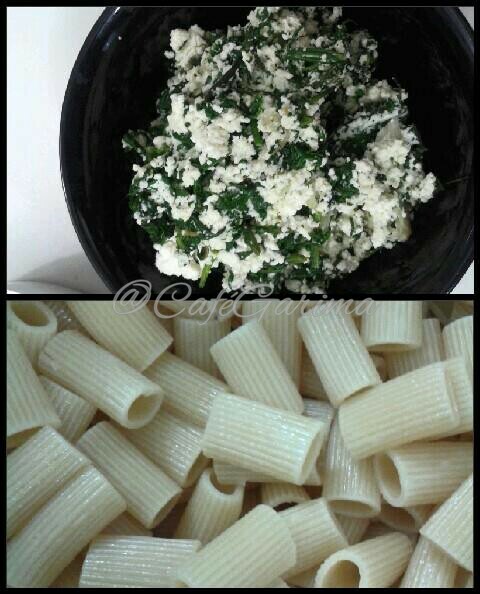 I am bringing a delicious pasta to the party,full of hidden vegetables! Pasta gets made at least once a weak in my kitchen.As much as my boys love pasta, the chopped vegetables go uneaten, no matter how fine I chop them. 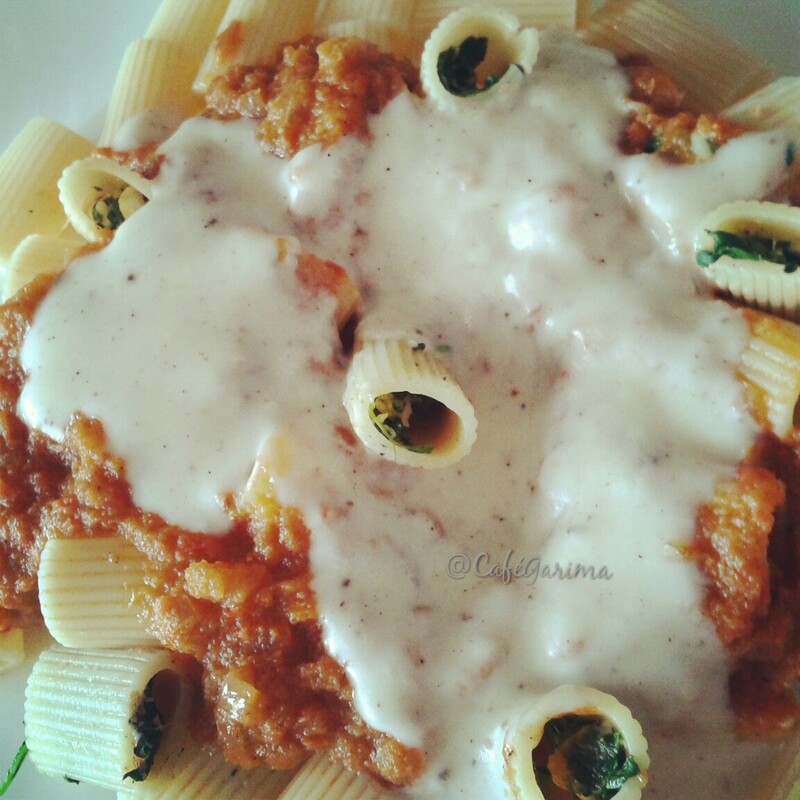 So, like all good Moms I have learnt to sneak in as many vegetables I can into the sauces. Friday lunch was this delicious Three Pepper Fusili with our favourite bread of all seasons, a mixed-herb Focaccia and some mini-buns. These proportions make a biggish batch. I use as needed and refrigerate the rest in a glass bottle. Heat the oil. Add garlic and onions. Fry till onions are transparent. Add in the tomato puree and cook uncovered for ten minutes. Grind the peppers in the mixie to a coarse paste. Add to the tomato onion mix. 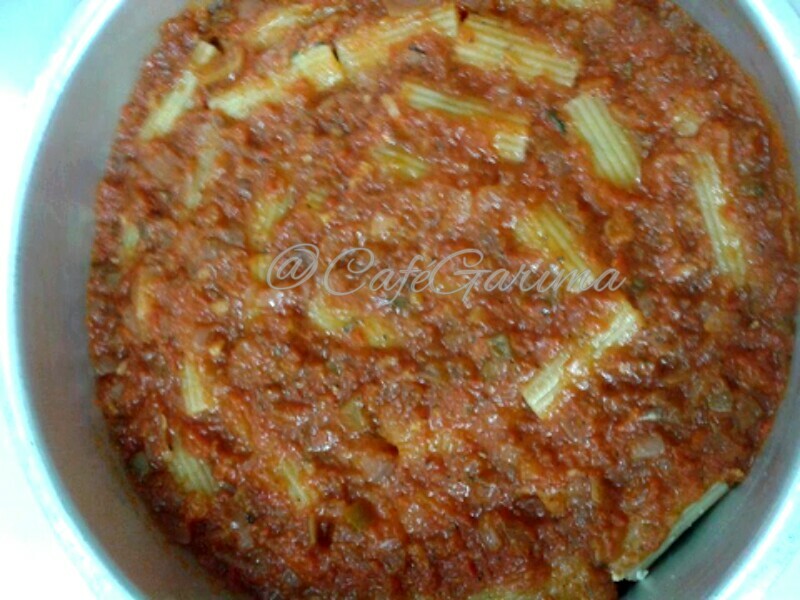 Add salt, black pepper, oregano, mixed herbs and tomato ketchup ( if using).Cook covered on low heat for about 20 minues. Keep checking and stirring to avoid burning. You will get a thick, rich and aromatic sauce. 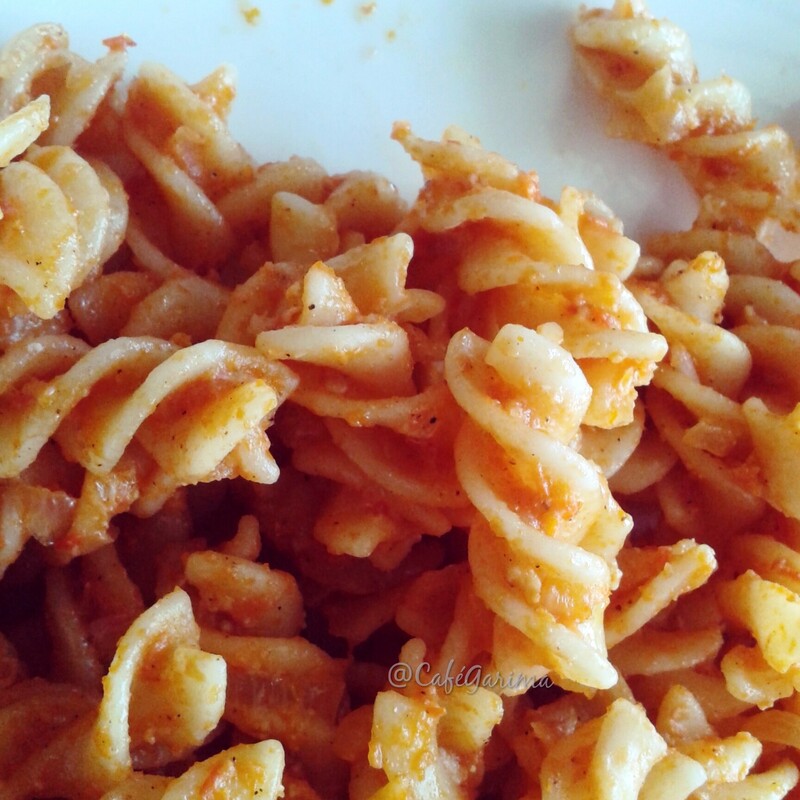 The three pepper paste really adds a lovely flavour and reduces the sourness of the tomatoes. Great way to add veggies to the sauce too! To assemble- Heat the sauce and add in the sauce. Simmer for a minutes and turn off. Stir in 2 Tbsp fresh cream. 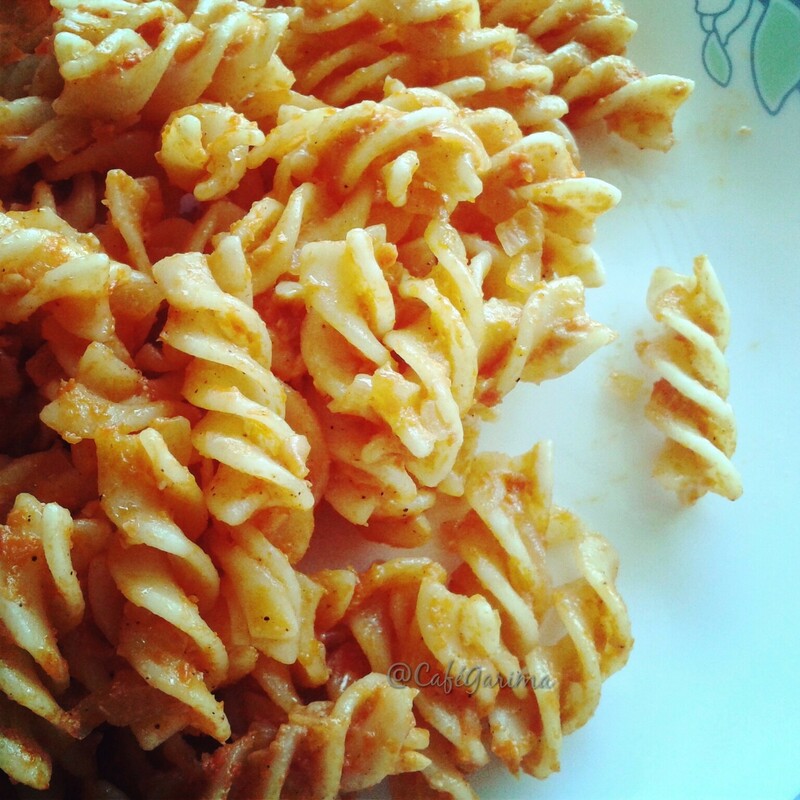 Add in the fusilli. Enjoy with fresh home-made focaccia or some dinner rolls.